In December 2007, a shark ate a kangaroo. 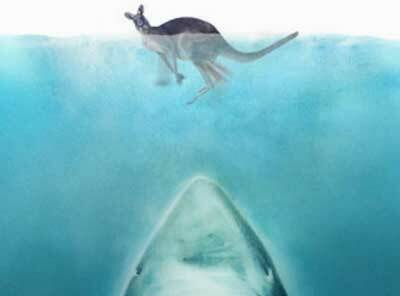 You read that right, a shark ate a kangaroo. For those too lazy to read the actual BBC report I'll summarize it. Basically, a guy was walking his dog on the beach and saw a kangaroo bound out to sea and then get devoured by a shark. The guy told his friends about it and they all accused him of being drunk or high, because what are friends for, really, if not to believe you when you tell them the MOST AWESOME STORY EVER? Anyway, a second guy said he saw it too and then a kangaroo caracas was found on the beach and everyone was all like "OK, guy, I guess you weren't drunk or high, guy." If I was that guy, I would probably get some new friends. And never go into the ocean again. It's unclear if the kangaroo had the logo for the Australian World Baseball Classic team branded on its hide or if the shark had a Dutch Honkbal teardrop tattoo, but we can only assume they did and the shark was warning the country of Australia they would lose a baseball game over five years later. 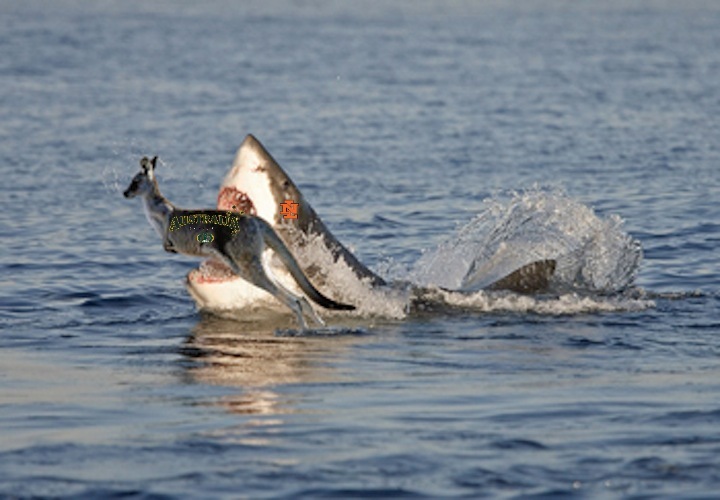 In a world where sharks eat kangaroos, anything is possible. Anyway, that's a long way of saying that Roger Bernadina and the Netherland's World Baseball Classic team plays Australia tonight at 11:30 EST. We'll bring you full coverage of the game and The Shark's performance tomorrow. Until then...stay out of the water. Especially if you are a kangaroo. Copyright Sharkadina 2010. Powered by Blogger.